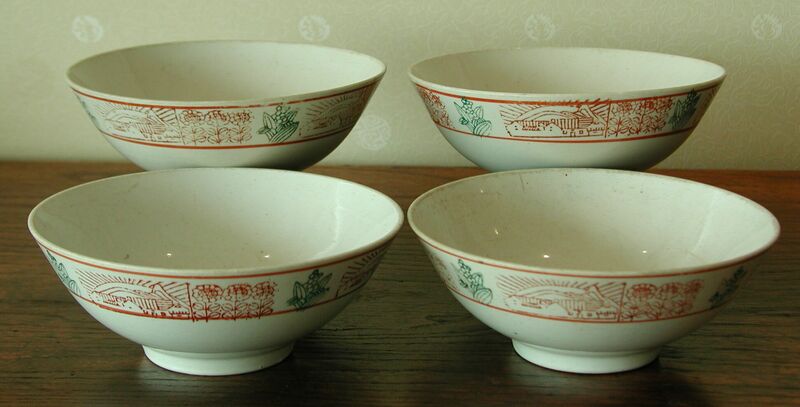 Authentic bowls used during the Cultural Revolution and all bearing inspirational scenes of the countryside. 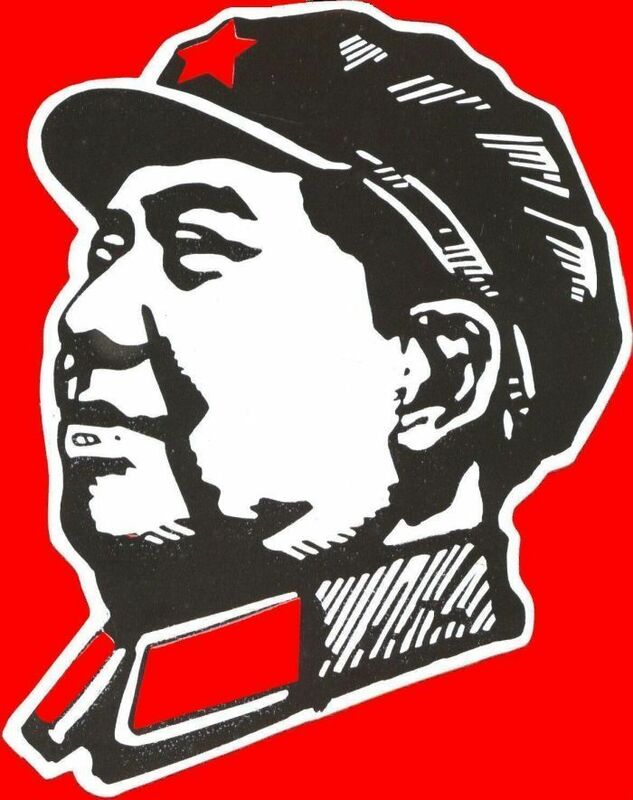 These were produced in Hunan in 1970. 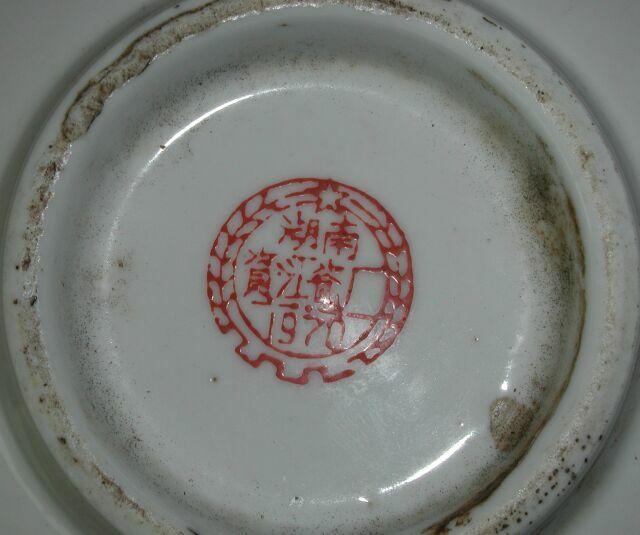 Each bowl is 15.5 cm in diameter.